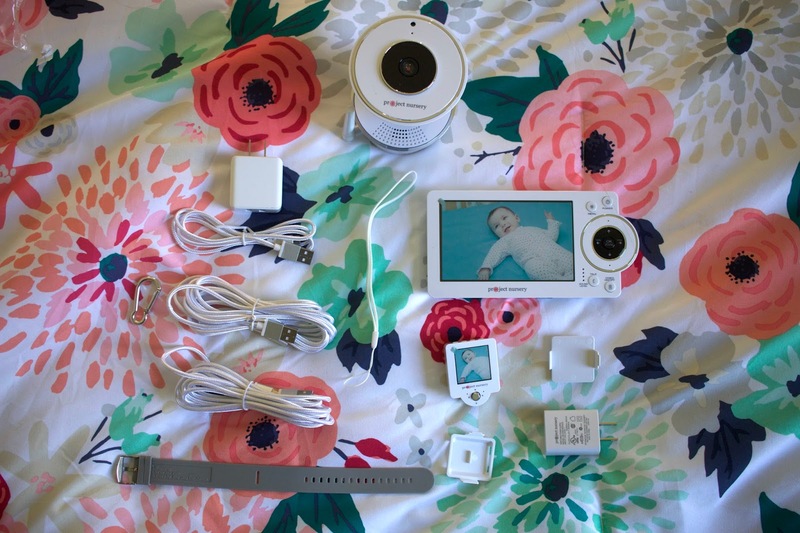 I received a free Project Nursery Video Baby Monitor System in exchange for writing an honest review. 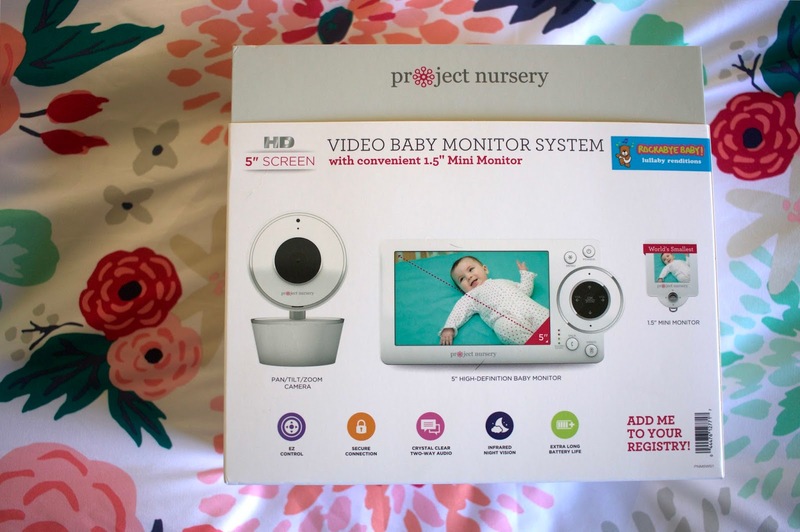 Back in July, Project Nursery mailed me their new video baby monitor system. 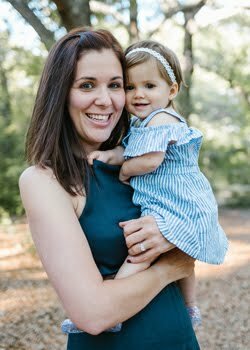 It took me a while to get to the review because my blog, as a whole, has clearly been neglected (#life), but also because I wanted to know how I actually felt about it. 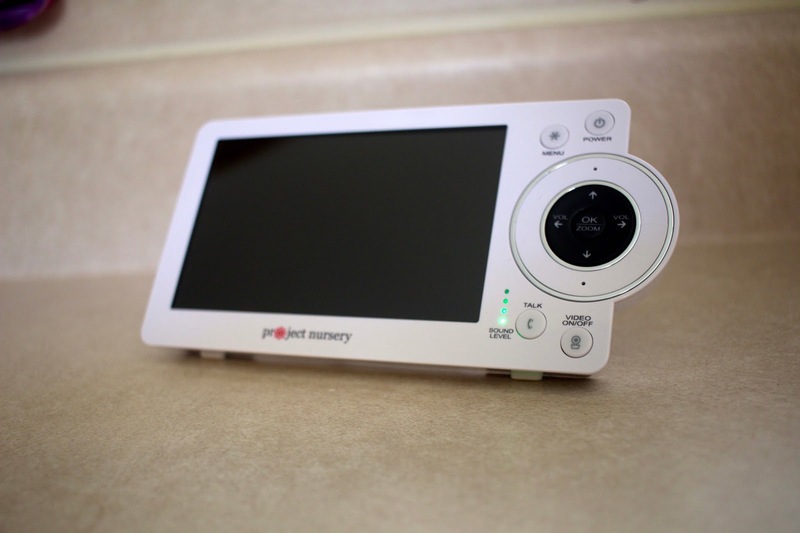 The system comes with a big monitor and a small watch-style mini monitor with a wrist strap and a clip. 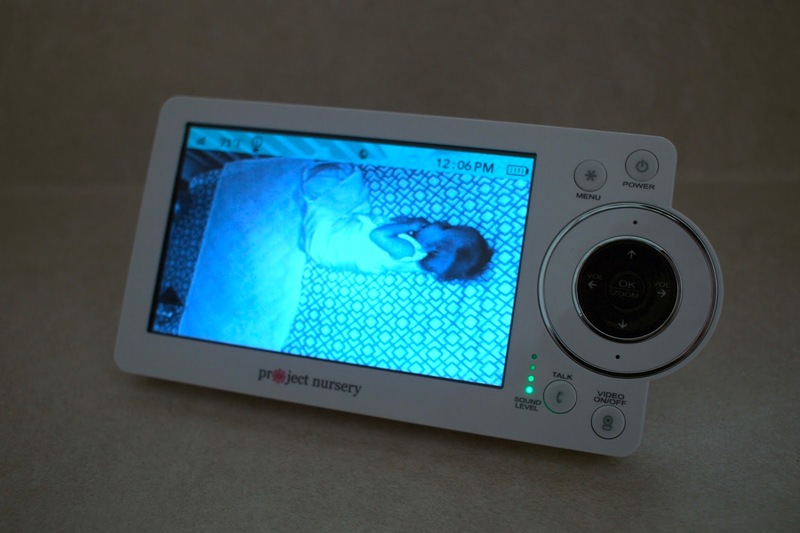 When Caroline was smaller, I really loved the mini monitor because it allowed me not to hover over the big monitor and I could get stuff done all while having the chance to check on the little monster. I love the big screen of the monitor and the clarity is pretty good. My major complaint about the whole system is that the monitor doesn't automatically adjust to the lighting available. Every time I turn the monitor on, I have to adjust the screen's brightness. The thing is, it doesn't actually matter if I change it to brighter or darker - once I go up or down, it adjusts to the right brightness and contrast. It doesn't change the effectiveness of the system, but it is super annoying. Also, the screen doesn't always turn on when you press the "Video On/Off" button. A work around is pressing the "Ok/Zoom" button first and it will turn on, but it is zoomed in. So, you have to press it again and, then, it's normal. Little grievances, but definitely worth mentioning. I would like to add that I did email them MONTHS ago and they responded very quickly offering a replacement. However, I have to mail mine back first and I don't want to have to go that long without a monitor. So, I just deal with it. Not a huge deal and I know how to fix it so all is well in the end. The range is great, too. I can take the monitor outside while Mark and I are working in the garage or over to the neighbors to chat for a bit. We had a different monitor when Caroline came home with us and I could barely step outside of her room before it lost service. Major bonus points for the long range monitor! Overall, I really like the monitor. I know I got the first generation so it will only get better. Honestly, if I would have paid for the monitor I probably would have been more invested (literally) in getting the little glitches worked out! However, I didn't so I'm just making it work and it's doing its job very well.